Despite what you thought of the release schedule of the 3DS’s first year on the market, there is one outlet for acquiring games that has been largely ignored: The Nintendo 3DS eShop. After all, some of the best games for home consoles like the Xbox 360 and the PS3 aren’t necessarily ones purchased in retail stores. They can be found just by browsing their respective online stores, and they’re usually a heck of a lot cheaper too. So there’s a lot of potential in Nintendo offering an online store and despite how hideous it is on a cosmetic level, it’s a great opportunity for indie studios and lower budget games to succeed. Samurai Sword Destiny is one such game. 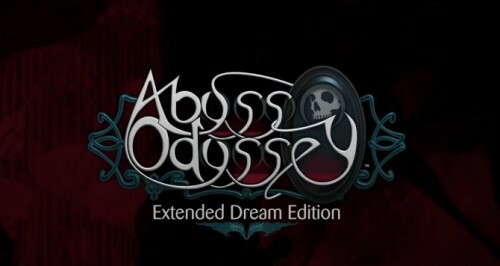 Also available on the iOS, it hopes to extend some hack and slash action to your 3DS with a 3D makeover. However, is it worth your time and money, or is it best left to your iPhone? 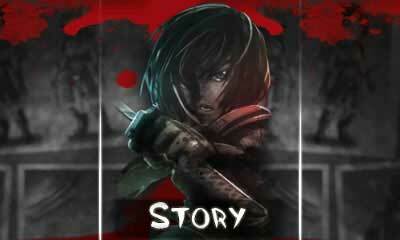 In this title’s story mode, you play as a female samurai named Akane, who is on a mission to locate her brother Tetsuo. Apparently, Tetsuo must find himself in trouble often as the first and last places you end up looking are behind an enemy line of ninjas. That’s really all there is to the plot without spoiling too much, but then, what more excuse do you need to hack apart waves of enemies? 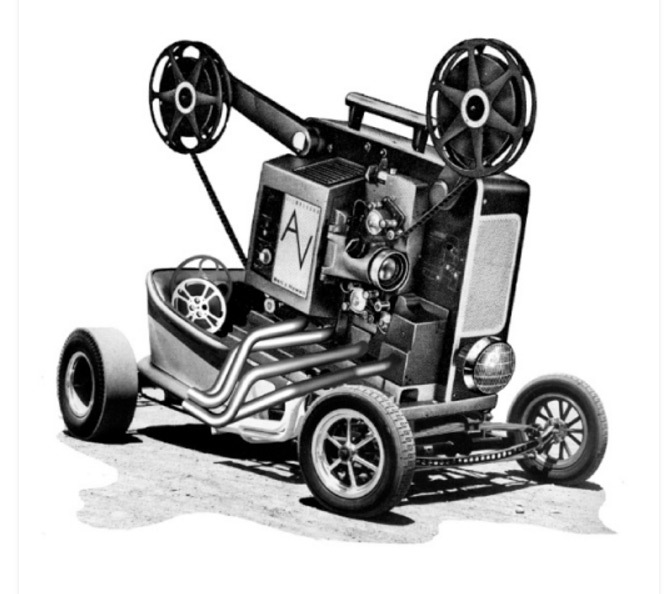 The story is told through brief text dialogue and still images. If you’re not interested in what is going on, you also have the option to skip these scenes entirely and get right into the action. 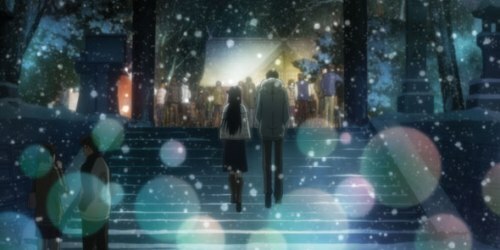 This was a great feature to have, as if you perish and have to repeat a stage, these scenes will play over again. And until you get the hang of the game, you’ll be replaying these stages a lot. Aside from the story, you’ll also unlock Survival and Challenge modes through normal play. 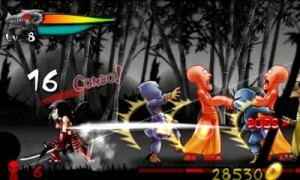 In Survival mode, you must live through an onslaught of enemy ninjas until the timer runs out. While there is no pre-requisite to how many you must defeat, taking out as many as you can will net you coins which can be used to upgrade Akane and make her more powerful. Challenge mode is very similar, except you have a finite number of enemies you must beat in order to complete the stage. As you progress in the story mode, you will unlock new stages for both of these modes and each will earn you more coins than the one before it. In fact, you’ll likely play all of these modes simultaneously as your coins and upgrades are transferable between all of them. On the surface, the game reminds me a lot of Muramasa. Visually, it’s not quite as impressive as Vanilla Ware’s Wii outing, but the 2D sprites are very fluid and are very well done. The backgrounds are entirely grayscale, but they too are fairly detailed and reinforces the dark atmosphere presented by the game. I didn’t think it would translate too convincingly to 3D, but surprisingly, the 3D effects are very effective in this game as well. Everything is layered behind one another, creating a sense of depth despite being on a 2D plane, much like some of the 3D Classics remakes like Excitebike. The soundtrack isn’t very noticeable with all of the slashing and screaming that takes place during much of the game, but it sounds very much like you would expect a game taking place in feudal Japan to sound like. It complements the title well during the few periods of silence that you encounter and is fortunately not bothersome. The sounds of combat are also very satisfying, with the clanging of metal against metal and the tears of flesh blasting out of the 3DS speakers during much of the game. There is no narration or voice acting to speak of, though as I mentioned earlier, there are death cries that are uttered when you fell an enemy. You use either the thumbstick or directional pad to move, but you have the option to use either the buttons or the touchscreen to attack. The A & B buttons do a regular attack combo and X & Y will make a white line appear showing where a slash attack would travel should you perform it. Letting go of the button will make Akane rush forward and damage any enemies in her path. Likewise, tapping the touchscreen performs the same functionality as the A & B buttons do and sliding the stylus across the screen will do the charging slash attack, though it works much quicker and was my preferred method. Later on, you will obtain upgrades that will allow you to roll out of the way of attacks using L or R, as well the ability to charge your slashes. Akane levels up as you supply her with coins obtained from defeating enemies. Both her and her sword have their own levels and must be upgraded separately. 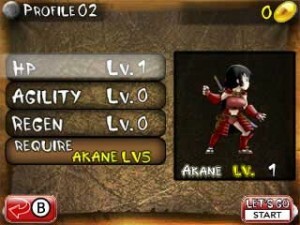 Enhancements include boosting Akane’s HP, raising her sword’s attack power, and learning new attack moves. Both Akane and her sword have four attributes that can be raised to a maximum of five, and their overall levels cap out at 20. You can even keep coins you’ve collected during stages you’ve failed in and use those to improve your chances for next time if needed. In addition to the hack and slash sequences, there are also segments where Akane is constantly running to the right while having arrows and boulder flung at her. When an arrow is about to be fired, you’ll see an indicator on the right hand side and the trick is to swing your sword before it is able to hit you. The boulders have an indicator of their own, which requires you just to move out of the way before it hits you. Later stages will have both of these things happening at the same time, so you have to be adept at multitasking to really succeed in these segments. Surprisingly, these are the more enjoyable sections of the game. The most frustrating thing about the Samurai Sword Destiny is that if you try to play it the way you would expect a game like this to be played, you set yourself for failure. Right from the first stage, you are tasked with defeating swarms of enemies and simply combo attacking anything that gets near you will get you killed. You would think then that you could simply block or jump out of the way of incoming attacks, but no such function exists. 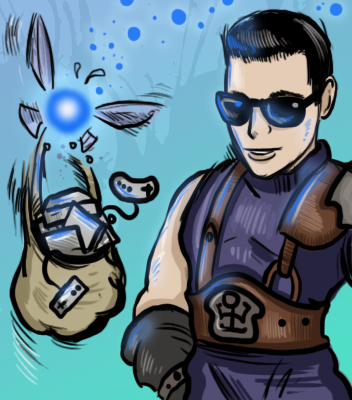 So until you unlock the roll ability, the key to success is the charging slashes. More specifically, swiping the bottom screen back and forth until everything is dead. That’s it. I died dozens of times in the first stage until I learned this little trick and then after that I was untouchable. Even some of the boss enemies couldn’t land a hit while I had this in effect. Therein lies the ultimate drawback of Samurai Sword Destiny: the broken balance. There is little incentive to fully upgrade your character when every stage (in every mode, I might add) can be won with such a cheap maneuver. It really felt like I was cheating the entire time until I had stopped doing it, and then it felt like the enemies were cheating because I couldn’t beat them any other way. The other problem is the lack of variety. There are only three enemies that you’ll encounter regularly during the game: ninjas, monk looking guys with swords, and giant axe carrying ogres. In later stages, they don different colored attire which is supposed to tell you as the player that these guys are stronger. On the other hand, the bosses are unique looking and this is only a $6 game which was also available on iOS, so perhaps I shouldn’t expect so much. On the other, OTHER hand, that same $6 could be used to buy The Legend of Zelda: Link’s Awakening on the Virtual Console, so when talking about best value for the gaming dollar, there are other options. It should also be noted that I was able to clear every stage of every mode in less than two hours as well as fully upgrade my character. After this has been done, there isn’t much incentive left to play again as there didn’t appear to be any unlockables earned after finishing the game. Again, not too terrible a thing when you consider the price and also that games like Braid or Limbo originally cost more than twice as much on their respective systems and take just as long to finish. It would seem that Samurai Sword Destiny‘s ultimate sin is that it is far too entrenched in its iOS roots to really be effective as a 3DS game, as despite the attempts to update it for the console, there’s just not enough depth to captivate players for very long. 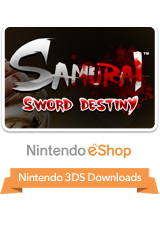 Samurai Sword Destiny tries to make the trek from the iOS platform to the 3DS eShop with mixed results. On the one hand, the game looks great in 3D, and the overall presentation is a step above what you would expect from a title like this. On the other hand, the only way to really succeed in the game is through cheap, repetitive actions and makes the already brief experience feel way too long. The additional modes try to give players something to do outside of the main story, but most will see all the game has to offer within a couple of hours. 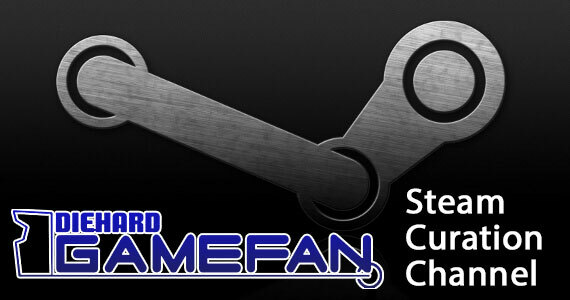 It’s a solid effort and one I would feel more comfortable recommending at a $1 or $2 price point. At $6 though, there is just simply too many other things that can be purchased through Virtual Console or otherwise. A little more polish would’ve gone a long way in making this a must have 3DS title.